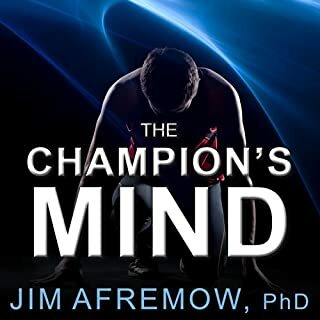 Achieve the champion mindset for peak performance. Reach new levels of success and mental toughness with this ultimate guide. Learn the "Science of Success" and prepare to excel. 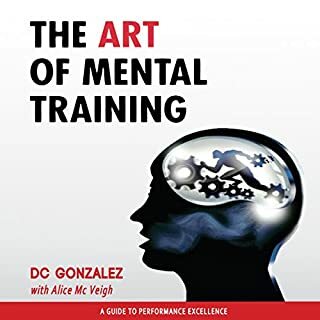 In this concise and highly acclaimed training guide, Peak Performance Coach DC Gonzalez teaches a blend of unique mental training technologies, sports psychology essentials, and peak performance methods that are effective and motivational. 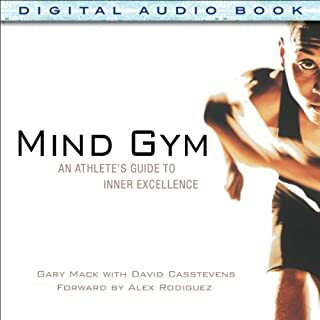 Get ready to increase your self-belief, self-confidence, and mental toughness using this powerful guide designed to help you reach new levels of success, sports performance and personal development. CrossFit trainer Ben Bergeron has helped build the world's fittest athletes, but he's not like other coaches. He believes that greatness is not for the elite few; that winning is a result, not a goal; and that character, not talent, is what makes a true champion. His powerful philosophy can help anyone excel at all aspects of life. Using the dramatic competition between the top contenders at the 2016 Reebok CrossFit Games® as a background, Ben explores the step-by-step process of achieving excellence and the unique set of positive character traits necessary for leveling up to world-class. The mindset and methodology that have produced some of the greatest athletes in the world's most grueling sport can work equally well for golfers, lawyers, artists, entrepreneurs - anyone who's willing to commit totally to becoming better than the best. Your ultimate guide to overcoming losses and injuries and achieving greatness - on and off the field. 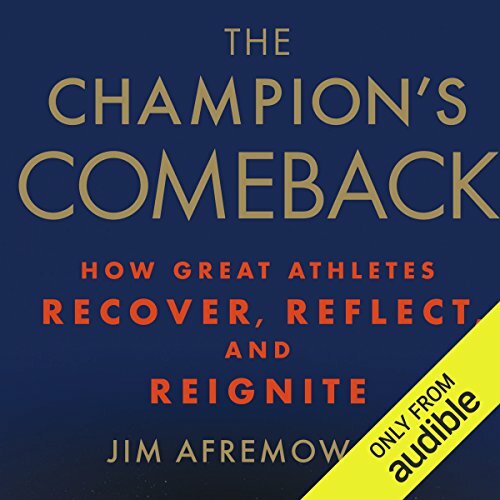 Leading sports psychologist Jim Afremow, author of The Champion's Mind, knows what makes good athletes great, especially when they come back to win after facing devastating injuries, tough obstacles, or seemingly insurmountable odds. Making a comeback isn't just about raw talent or athletic ability - it's the mental game that counts most. 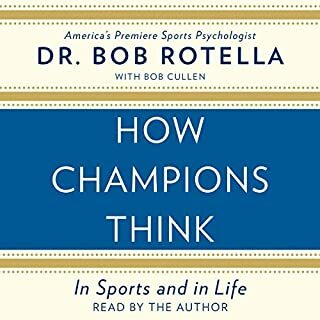 In The Champion's Comeback, he offers winning strategies for athletes of any age or skill level to get mentally psyched for competition, quickly rebound after a loss, and overcome injuries (and the fear of reinjury). Afremow explores the psychology of commitment and shows you how to develop the core confidence of repeat champions. Featuring unique tips and advice, including guided imagery scripts, easy-to-follow mental training exercises, and motivating stories of famous "comeback" athletes, The Champion's Comeback is the ultimate athlete's handbook, encouraging you to not only stay in the game but also achieve greatness - no matter what. ©2016 Jim Afremow, PhD (P)2016 Audible, Inc.
Good content, but unbearable narration! This is the worst audible book I have ever listened to - not because of the content, but because of the awful narrator! I could not make it through the entire audiobook due to this issue. I told the author about his issue, and his disappointing reply to me, was that he had nothing to do with the audiobook. Quite honestly, I'd have expected him to care more than just a little, but he seemed to care not at all. the book was low on research and high on anecdotal stories and affirmation. reading was too monitone especially for the drama of the tales. The Champion's Comeback chronicles the tribulations of some human history's most elite athletes to elucidate a solid recipe for overcoming adversity and beating overwhelming odds. But this book is not for athletes only. If you've ever participated in sports at any level—or if you've simply been a passive sports fan at some point in your life—Dr. Afremow's philosophies and case studies will resonate and absolutely provide you tremendous value at home, at your job, and in your life. Merely reading this book will not make you the next Serena Williams or Bill Gates or MIck Jagger. But it will retrofit your mind with the tools and vision to maximize your potential and exceed expectations..
the reader was really dry, but the content was fantastic. Highly recommended if you can stay awake. I have nearly 100 audiobooks - usually don’t take the time to write detailed review - BUT - the recording on this book is so bad I had to. The content is good. But it is like Robocop read this book! Very cold &amp; impersonal feel when listening - not the sensation you want especially when listening to a self-development book! I am loving this book, I am taking so much from it. Thank you Mr. Afremow for you work. 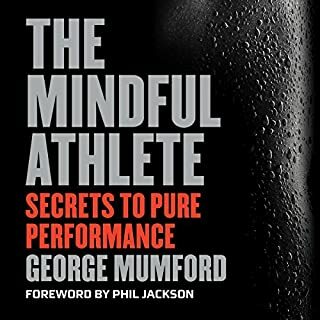 I would recommend it to anyone who trains and competes. Amateur athletes need to tap into the same wellsprings of motivation as the professionals. What was one of the most memorable moments of The Champion's Comeback? Failure is the beginning of success. Michael Jordan's approach to competition. He was someone who failed but his inner drive ultimately made him the best basketball player ever. What insight do you think you’ll apply from The Champion's Comeback? As an amateur athlete I have begun to enjoy the process more than the result. This is not just a motivational book it will give you tools to succeed. I enjoyed it.